ABC has a lot in store for this summer. 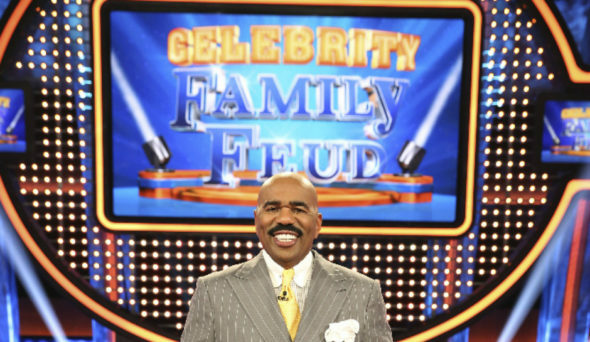 The network just announced the premiere dates for several TV shows, including Holey Moley, Celebrity Family Feud, To Tell the Truth, Press Your Luck, and more. Other summer debuts include season 15 of The Bachelorette (May 13th at 8 p.m. ET/PT), the series premiere of Card Sharks (June 12th at 9 p.m. ET/PT), and season four of The $100,000 Pyramid (June 9th at 9 p.m. ET/PT). It’s time to roll out the shag carpet! “Match Game,” now in Season 4, returns for a summer run with Golden Globe(R) and Emmy Award-winning actor Alec Baldwin. Produced by Fremantle, the bawdy panel game features four contestants each week vying for the chance to win $25,000, as they attempt to match the answers of six celebrities in a game of fill-in-the-blank. “Match Game” is executive produced by Alec Baldwin, Fremantle’s Jennifer Mullin, Scott St. John and Mallory Schwartz. “What Would You Do?” with anchor John Qui�ones reveals how people behave when they think no one is watching by using hidden cameras to record people’s real reactions to thought-provoking, actor-driven scenarios, inspired by some of the biggest stories making national headlines. What do you think? Do you watch ABC? Which shows will you check out this summer? More about: ABC TV shows: canceled or renewed?, Bachelor in Paradise, Bachelor in Paradise: canceled or renewed?, Card Sharks, Card Sharks: canceled or renewed?, Celebrity Family Feud (2015), Celebrity Family Feud (2015): canceled or renewed?, Family Food Fight, Family Food Fight: canceled or renewed?, Holey Moley, Holey Moley: canceled or renewed?, Marvel's Agents of SHIELD, Marvel's Agents of SHIELD: canceled or renewed?, Match Game (1973), Match Game (2016): canceled or renewed?, Press Your Luck, Press Your Luck: canceled or renewed?, The $100000 Pyramid (2016), The $100000 Pyramid (2016): canceled or renewed?, The Bachelorette, The Bachelorette: canceled or renewed?, To Tell the Truth (2016), To Tell the Truth (2016): canceled or renewed?